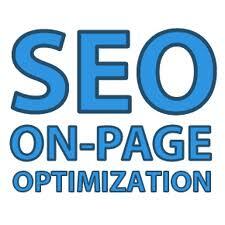 How to SEO On Page Optimization? On page optimization means improving the designing of the website according to the search engine requirements so that it can be easily promoted and this is done through source page of the site where coding of the site is written. Meta tags are of many types. Description, keywords are the most important. Through Meta tags we can improve the designing of the site and this helps in improving our ranking in search engines. Whenever search engine comes for crawling (checking of site) it look for meta tags and if good meta tags are there the search engine improves the ranking of the site. An seo person has to create the meta tags and added in the site by the web designer. Description should be of 150 characters and keywords must be used in writing the description. Don’t use only keywords separated by commas in description. Title, Description of every page is different according to the page, and later on added through ftp (file transfer protocol). There should be around 15-20 keywords on a single page. Use keyword tool for getting keywords according to your site. Keywords of every page will be different. Robots file is added in our site for blocking (hiding) some of our pages of the site. Then search engines will not able to crawl those pages. Robots file is used for hiding some of your bad pages of the site from search engine crawlings, because it may drop our rankings, so we hide those pages from search engines.